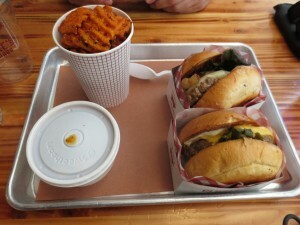 Even though it’s never been review on Burger Conquest, P.J. Clarke’s plays an important part of the history of this website. Much of my obsession with Hamburgers and certainly my obsession for drinking Beer while eating said Food item comes from my Father. 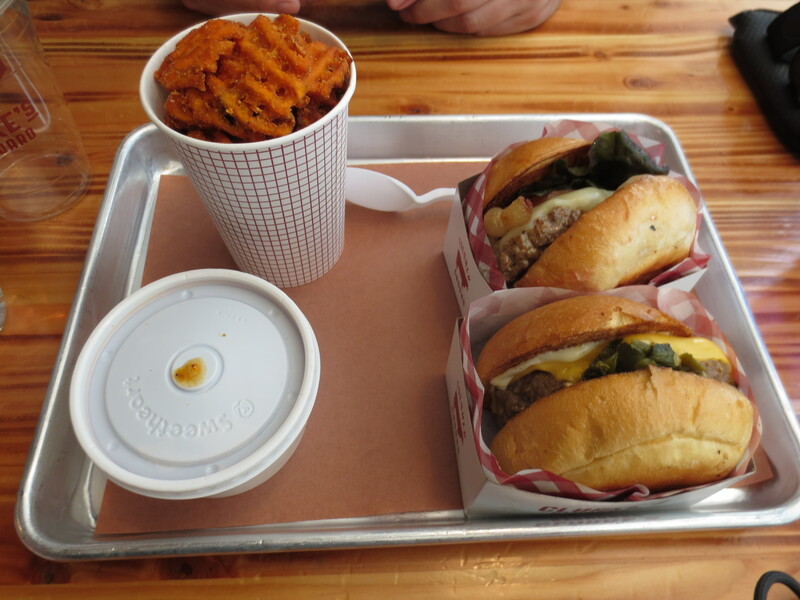 Few things made “Bones” (his nickname) happier than sharing a Burger and Beer with friends. On July 20th of 2008, I gathered up a bunch of friends to have dinner at P.J. Clarke’s. It was at that celebration that idea of Burger Conquest was conceived. I jokingly call it my Flux Capacitor moment. Much like the moment in “Back to the Future” when Doctor Emmet Brown fell off the toilet, hit his head and thought up the device, while at dinner I suggested “why don’t we start a blog about hanging out and eating Burgers?” I’ll need to remedy this as some point but in the meantime, let’s talk about Clarke’s Standard. 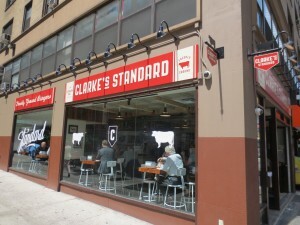 Clarke’s Standard is a fast casual off-shoot of P.J. 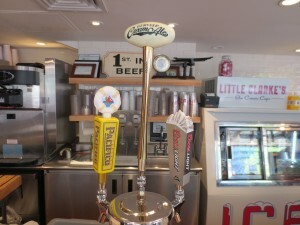 Clarke’s meant to serve quicker meals in a non-formal setting. Much like ancient Roman civilizations, they’re being built as makeover’s to former goodburger locations. 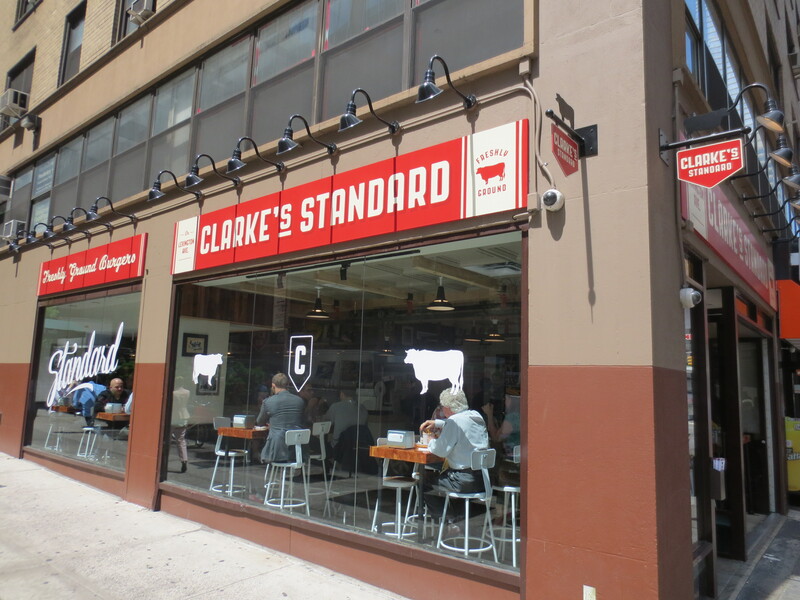 The Burgers at Clarke’s Standard are made from “100% freshly-ground USDA-verified Natural Angus free of hormones, antibiotics, and preservatives.” Burgers are served wrapped in a plastic paper and inside of cardboard boxes. 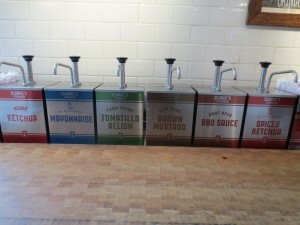 The overall vibe feels very old school with decor looks like that of a butcher shop gone dinette. The restaurant uses an array of gourmet and artisan items like Sir Kensington’s Ketchup and Mayonnaise, Root Beer BBQ Sauce, St. Joseph’s Rolls, Ice Creams & Boylan’s Sodas. 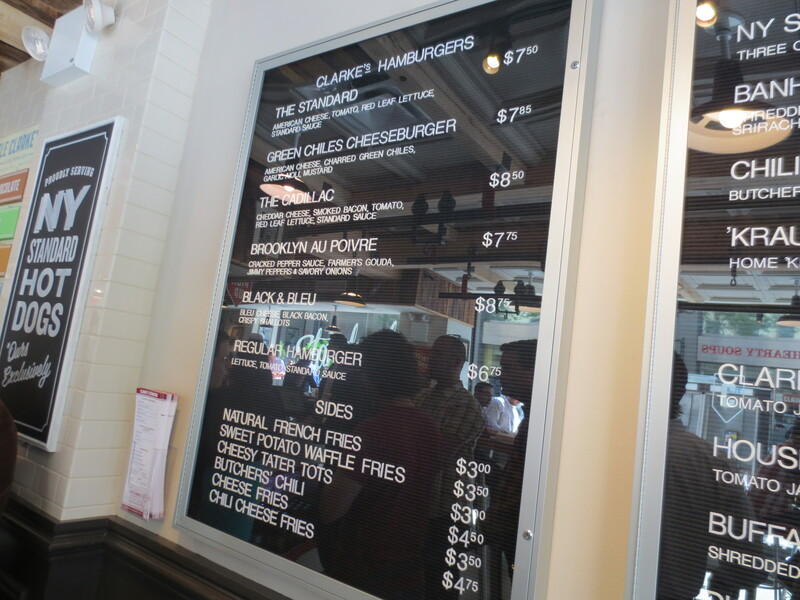 Alongside an array of Burgers, the menu also features Hot Dogs, Chicken Sandwiches, a Bahn Mi, Milkshakes and Sides like Beef Chili and Cheesy Tater Tots and Butcher’s Chili. It took me about 2 and a half seconds (that’s an approximation) to decide what to get on my maiden voyage to Clarke’s Standard. 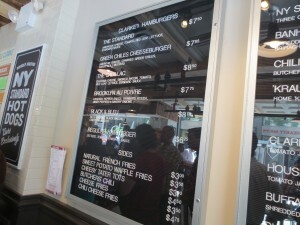 Taking one look at the menu, the words “Green Chilies Cheeseburger” just appeared and that was all I needed to read. 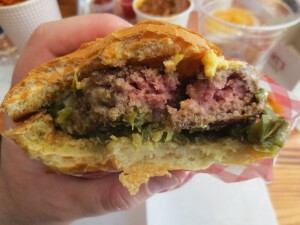 Although the “Brooklyn Au Poivre” was nearly a distraction with “Cracked Pepper Sauce, Farmer’s Gouda, Jimmy Peppers & Savory Onions” I could not deny my taste buds of Green Chilies. The smell of their roastiness hit my nose like and I almost forgot that I was supposed to eat this creation while inhaling it’s fine aroma. The Burger also comes adorned with American Cheese, Garlic Aioli, Mustard that last of which I thought was unnecessary. The Mustard is really good, I just think the Chilies, Cheese and Aioli was a good enough mixture. The melted and creamy Cheese is savory, the Aioli is tangy, the Chilies are smoky and the perfectly cooked medium rare Beef has a great all natural flavor. It’s Sandwiched between a perfect Bun that is both soft and sturdy. 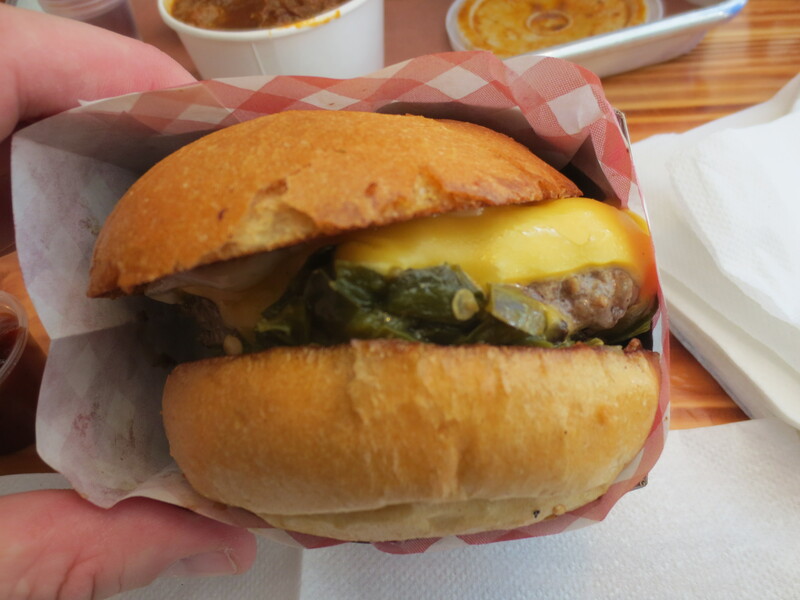 The flavor mix in this Burger is a home run and kudos to Chef Alfredo Estrada for making the play. Along with my Burg I crushed some Sweet Potato Waffle Fries. Another great choice to add to the menu. They were hot, sweet, salt and with great Sweet Potato flavor. 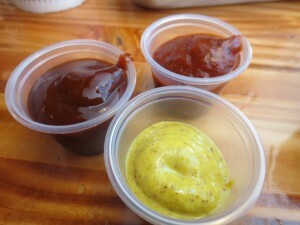 I tried dipping them in the Ketchup, the Spicy Ketchup, Brown Mustard and the Root Beer BBQ Sauce. The best of which were the Spicy Ketchup and the Root Beer BBQ Sauce. I’m not really sure what ingredients go into it but it’s spicy, sweet, tangy and smoky. Totally loved it. 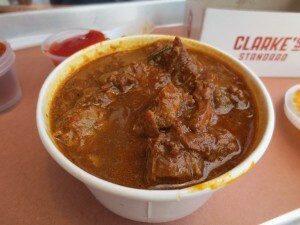 If you’re a Chili fan, do not pass up the Butcher’s Chili at Clarke’s Standard. It’s a whole Meat style Chili with lots of robust flavors. 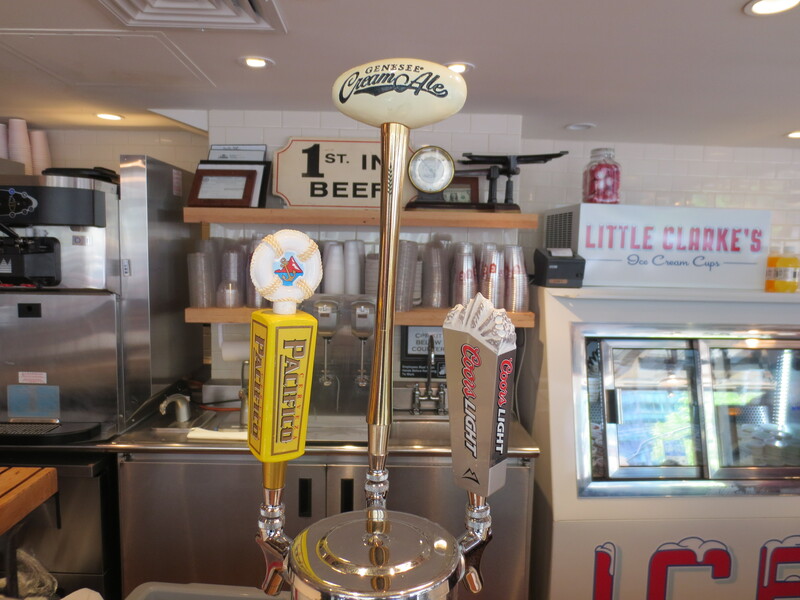 This entry was posted in Burgers, Gourmet Burgers, Hamburgers, New York and tagged alfredo estrada, best burger, burger conquest, cheese, ciancio, clarke's standard, david, french fries, hamburger, nyc, rev, review. Bookmark the permalink.